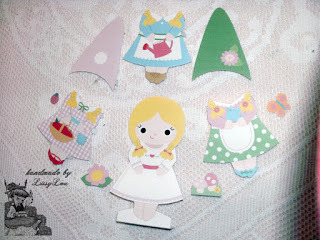 I not only enjoy sewing but crafts of all kinds and I have a large collection of paper crafts that I have yet to get around to for one reason or another, a big reason being the printer ink I would go through to create them all. But when I found this pretty little gnome girl I couldn't help but print her out. 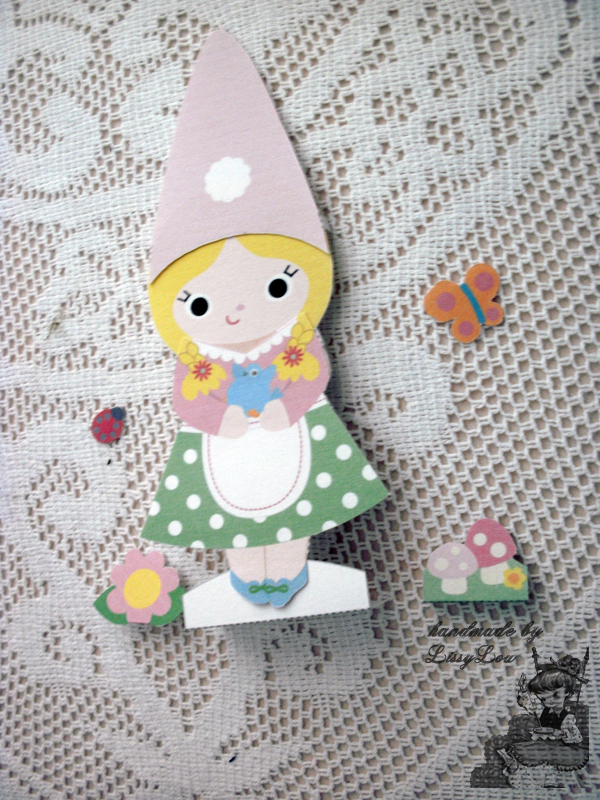 My photography skill may not be the best but you can still see how charming this little paper doll is, with her hats and dresses any little girl would love to play with this gnome doll. Alternatively you could set her up in an outfit of your choice and use her as part of your christmas/easter/birthday/other decorations. 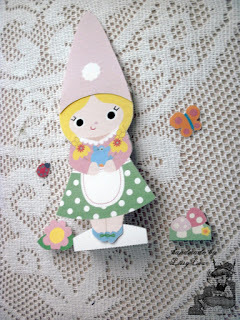 This Gnomie Paper Doll is just one part of a set of five Gnome Toys Freebies available HERE. 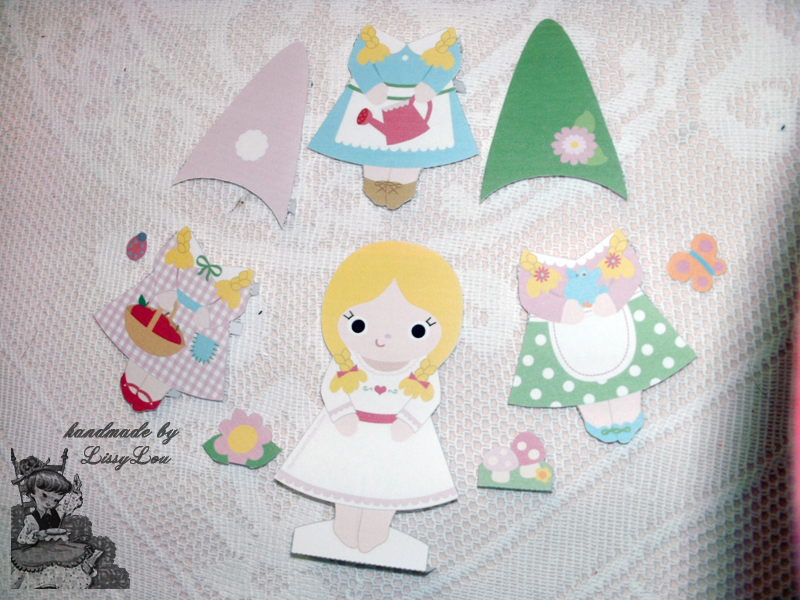 This FREE set is created by Timothy Haugen at Fantastic Toys who has a number of paper craft sets available for free as well as for sale.